Product prices and availability are accurate as of 2019-04-19 20:01:46 BST and are subject to change. Any price and availability information displayed on http://www.amazon.com/ at the time of purchase will apply to the purchase of this product. 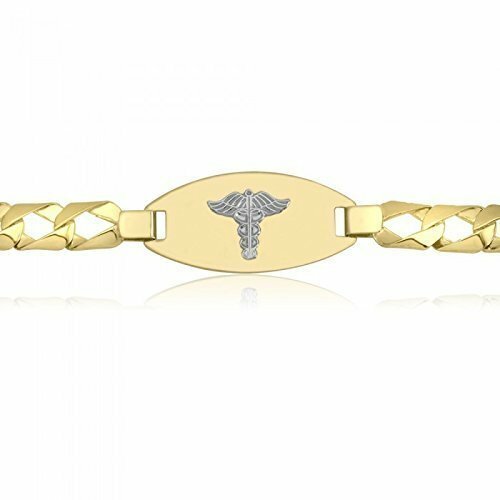 Take control of your life with this Two Tone Men's Medical Bracelet. 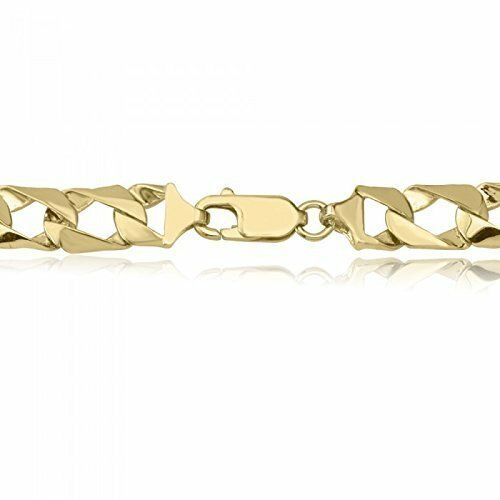 This solid gold 10k chain bracelet is not only elegant and masculine, but it is life-saving. 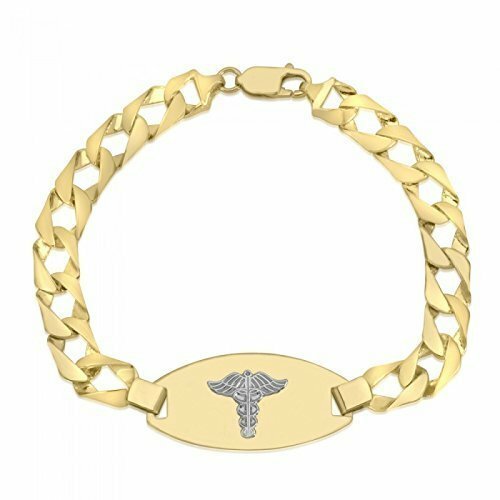 The engravable medallion can be customized with up to 100 characters regarding your medical condition. The lobster clasp means that this medical ID tag will not easily break or slip off. 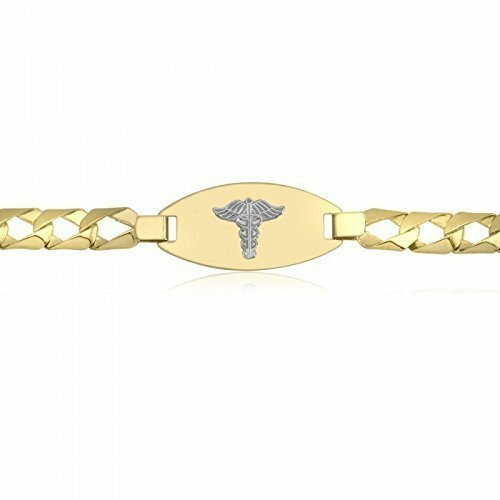 This men's bracelet is an investment that will pay itself off time and time again. The high polish chain is adjustable in length, so men of any age and size can feel good about their appearance while still taking precautions about their health!